From Facebook to Google to BlackBerry to that little startup you haven’t heard of (yet), everyone experiences downtime, crashes, bugs and other issues from time to time. It’s how you handle downtime that counts. There are two fronts in the battle of the bugs — in-app communication and community management. Here’s a look at both sides, with some best practices and examples. Users love their apps. 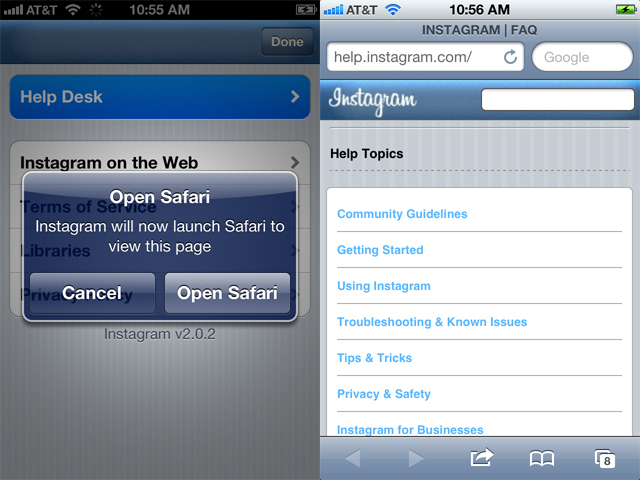 When an app faces a problem, many users are eager to do their part to help get things up and running again. That’s why it’s key to make it as easy as possible for those users to get in touch. Every app should have an “about” or “help” section with instructions for getting in touch. It can be a form for users to fill out or something as simple as listing a support email address. 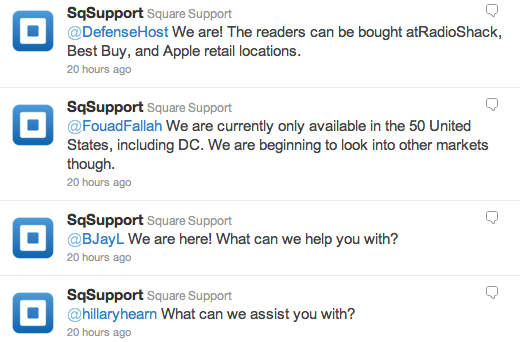 You can’t go wrong setting up support@yourapp.com. You should list your support email address or support URL in your app store listing and encourage user feedback. This also provides users an alternative to the ratings section where they can vent their complaints. Though it takes a bit of work to build into an app, there’s no better way to notify your users than with an alert that pops up inside the app. It’s also a great way to notify users of phone or carrier settings that hinder the app’s functionality (as opposed to a bug). 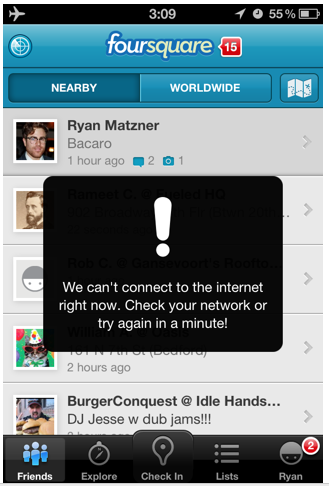 For example, Foursquare built a proprietary in-app alert system that notifies users to server downtime, and reminds them when the app isn’t working because their phone lacks a signal or because GPS permissions have been disabled. In-app communication channels are key, but they tend to be one-way and a bit unfulfilling for users. 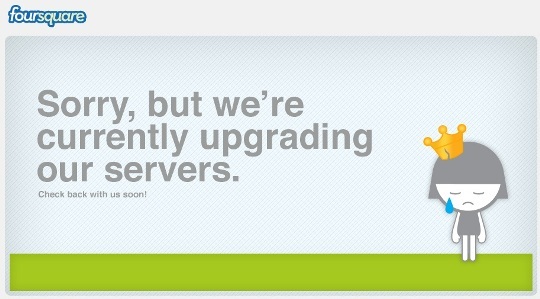 Your most dedicated fans want a full explanation and accounting of downtime and bugs. Your power users want to have a conversation, not just and alert. Make the “support” button easy to find on your website. Be sure to include links to any other platforms you’re offering support on, like Twitter, your blog, etc. Your super users — the ones who use your app all the time and maybe even rely on it — are your eyes and ears on the front lines. They’re going to be among the first to report bugs, crashes and other issues. They might be a bit overzealous and make lots of feature requests, but don’t treat their love of your app lightly. When they email you, reply promptly and personally. If they notice a minor bug, knowing that they’ll receive a personal response from a real human being can make it worth their while. Venmo, the peer-to-peer payment platform, does a great job of this, and even lets you report the bug as a payment request to their co-founders, netting you a couple bucks if the bug report turns out to be legit. Regardless of the platform by which you communicate with users, it’s important to set realistic expectations. Honestly explain to users what’s going on and let them know that you’re aware of and working to fix the issue. Promise that you’ll update them as you know more and, if you are confident about a timeline, give an estimate. However, avoid promising when things will be restored. Your customer service tactics may come naturally to you, but that doesn’t mean your team is on the same page. Don’t underestimate the value of running them through a training session where you cover message, tone, technique, talking points and standards for responding personally and quickly to users. Use your Twitter account to broadcast alerts and messages about what’s going on with your app. Your tweets should include a short acknowledgment and description of the issue with a link to your blog, where there should be a fuller explanation. When you’re receiving five or ten support emails a day, which is typical for a small startup’s app, handling the workload requires little more than setting up a Gmail filter. But as the volume increases, you’ll need to turn to a ticket-based support system. Foursquare uses Zendesk, but other popular options include Get Satisfaction and the beautifully designed HappyFox. Blogs, tweets, and email alerts are nice, but a heartfelt video from the CEO is a great way to reach out to users and apologize for downtime or serious bugs in an application. Traditionally, videos are used to apologize after serious downtime, like BlackBerry’s recent boondoggle. Your users really care about your product. And a certain subset of users care really, really care. For the sake of those power users, it’s often helpful to write up a detailed debriefing of what went wrong, how you fixed it and what you and your team are doing to make sure that problem doesn’t come up again. Such transparency will be appreciated by your users and can go a long way toward helping you earn the trust of your users. If you have many users relying on your service, it may be appropriate to open up a Twitter account and blog dedicated to covering server status 24/7. Many services use subdomains like status.yourapp.com for such purposes. But when something major happens, it’s important to mention it on your main blog, where more average users will be able to find it. Handling a problem when it creeps up is important, but here are a few tips for stopping issues in their tracks, before they become a problem for your users. Bug & Crash Reporting: BugSense and Flurry are services that can be integrated into your apps and seamlessly provide you with near real-time crash data. Using this kind of service should be a standard part of any developer’s process. Server Ping: Server ping options like Pingdom allow you to monitor your server in real-time and even receive a text message if it goes down. Apple Expedited Review: Android apps can easily be updated by the user, but iOS app updates must be reviewed and approved by Apple before they’re ready to deploy through iTunes. That can be a problem if developers need to make an urgent fix. For such emergency situations, Apple has created an Expedited App Review request form. Hi Pooria,Both the games works great on iPod touch, especially 4G. Hi. Thanks for your comment! And what is the problem? I haven’t noticed anything.